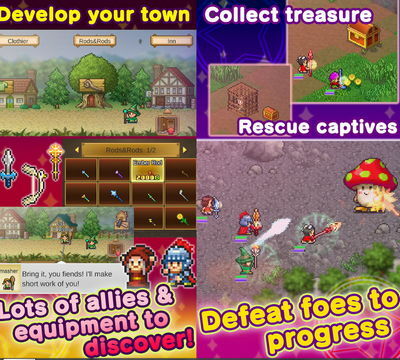 Kairosoft is back with yet another unique game and this time it's an RPG with building simulation. Magician’s Saga Hack lets you play as a sorcerer who gets to a town ruined with monsters, and you decide to help clean the village of these evil creatures. There is also some building involved, as well as buying and selling activities. 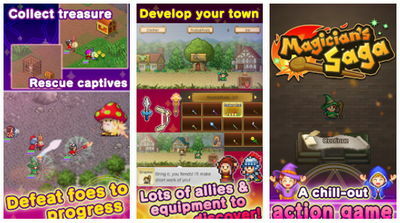 Your adventure starts by building a town and training the village people. You will go hunt down monsters using your magical rod, and engage in epic battles with your allies to become a true hero. Help the king get back the fortune orb, and save the kingdom now! Tip: For Facebook login, Remove your FB app and login again.